On Thursday, James Stewart, proprietor of Rawsome, was arraigned on charges of illegally making, improperly labeling and selling raw milk products, as well as other charges related to the co-op’s operations. 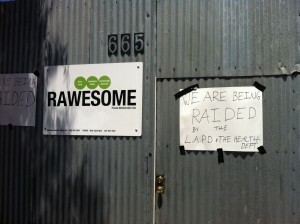 Two farmers who work with Rawsome were also named in the district attorney’s complaint. 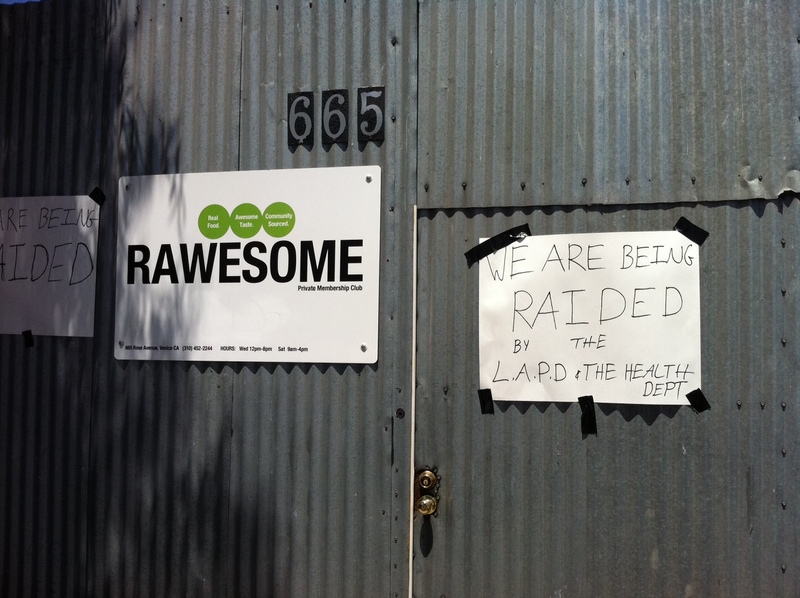 Though it is legal to sell unpasteurized milk products in California, Rawesome, which has operated in Venice for more than six years, never obtained a license to do so — or, indeed, any type of business license. A trustee at Rawsome said a license wasn’t obtained because the operation was not a store but a “club” in which members paid an annual fee to peruse the shelves and purchase selected items.